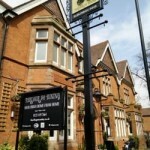 Trying to find pubs in Avon that have current offers? You’ve come to the right place. We’ve got every pub and bar in the UK listed. 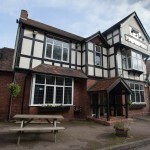 Whether you’re looking for a pub or bar to play darts, somewhere to play pool or just want to have a look at a menu before you go, we can help. At Horse & Jockey we pride ourselves on providing a great place to meet family and friends, with a large selection of great real ales, wines and spirits, hot drinks and soft drinks for you to choose from. Village Inn in Birmingham has a cocktail bar. The pub is a family friendly pub, it serves food. Village Inn has a function room that can be booked. The pub has an outside area, it serves real ale.